To be given away in the fourth $1 Million Freeroll, set to take place Thursday, December 1 at 14.04 ET. Players will have opportunities to satellite into the million dollar freeroll tournament through a series of simple daily all-in shootout qualifiers which kicked off on Monday and are running until Wednesday, November 29. PokerStars are also hosting a Last Chance Skill Qualifier tournament on Thursday, December 1. The amount won by one lucky German player who waged $10 on PokerStars Casino’s slot game Genie Jackpot. First prize won by English poker player ‘DrAnubis’ in the PokerStars Sunday Million beating a field of 5,285 players to claim the largest payout from the $1,057,000 prize pool. Players who deposit $15 or more into their Stars Account using the code ‘CLOCK16’ by 23:59 ET on December 4 will receive five $1 Beat the Clock tournament tickets for free. Beat the Clock games are Zoom tournaments that last just five minutes, making for a fun and adrenaline-induced experience for players looking for rapid-fire poker action. PokerStars NJ Players participating in major daily and Sunday tournaments are having their buy-ins cut by 50% from November 21-27 for the Half Price Week promotion. Despite buy-ins being cut, all guarantees are being kept the same! 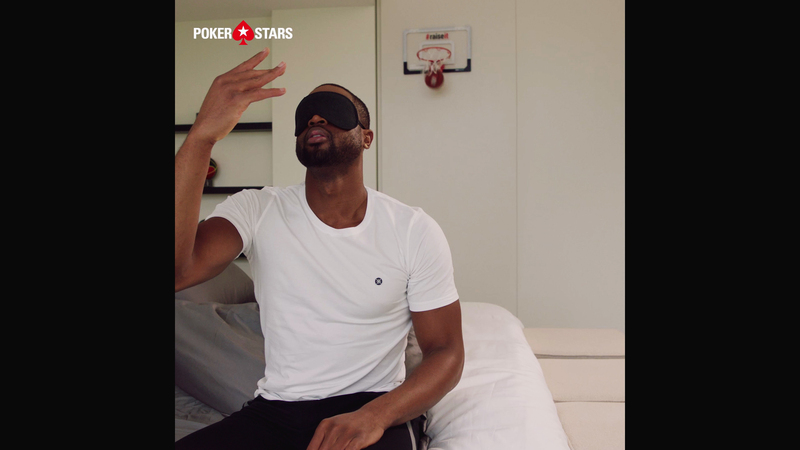 It’s Team PokerStars SportStar Cristiano Ronaldo turn to challenge basketball sensation Dwyane Wade to #RaiseIt? PokerStars Casino celebrated its second birthday by launching its first ever TV advert, which will play across UK digital stations and video display advertising. The debut advertisement features cutting-edge digital graphics showcasing popular PokerStars Casino games such as slots, blackjack and roulette to a mainstream audience for the first time. Check out some of the PokerStars Team Pro Online members reactions to PokerStars new timed tournaments, Beat the Clock.